Newark Symphony Hall occupies a very special place in the cultural history of New Jersey. Built during the “Roaring Twenties,” this monument to a particularly optimistic era in American history has served as a stage to many of this century’s greatest musical artists. Seating 3,500 people, it is larger than Carnegie Hall, Lincoln Center’s Metropolitan Opera House, and Philharmonic Hall in New York City. The acoustics of the facility have been ranked with Boston’s famed Symphony Hall and other major concert halls around the country. Originally called the Salaam Temple, Newark Symphony Hall was designed by architects Frank Grad, Henry Baechlin and George Backoff for the Ancient Arabic Order of the Nobles of the Mystic Shrine, more commonly known as the Shriners. The inaugural performance was held on September 8, 1925. With the arrival of the Depression soon after, however, the hall suffered financial troubles and was sold at Sheriff’s sale in 1933 to Prudential Life Insurance Co. Fortunately, fortunes soon turned, and by 1938, Newark Symphony Hall was in the hands of the city and ready to embark upon a glorious 20-year period of national fame. Those who performed at Newark Symphony Hall include Rachmaninoff, Horowitz, George Gershwin, Toscanini, Eugene Ormandy, and more. 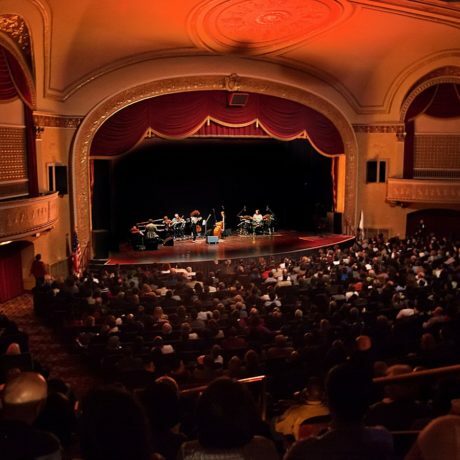 The hall continues to serve as a performance hall and gathering place for local activities, but with the planned relocation of the NJ Symphony to a new performing arts center, the hall is lacking in a marketing plan to attract new performers and audiences.